The First Lego League field kit is a separate kit which you have to pay for when you register for the FLL program. Jeff Boucher, coach of the Cyber Rays really got the club going by getting the team registered for the Florida FLL qualifier in Clearwater, FL, resulting in the team win and advancement to the regional competition. FIRST LEGO League is a robotics program for 9 to 14 year olds designed to get children excited about science and technology as well as teachthem valuable employment and life skills. FLL can be used in a classroom setting but can also be used by ad-hoc teams, scouting troops, home school associations or other groups of interested kids and committed coaches. Teams are composed of up to 10 children with at least one adult coach. (CNS): Weststar’s planned move to a fibre-optic infrastructure took a step forward this month the television company said as it has signed an agreement with the leading fiber access systems vendor in North America and the Caribbean – Calix (NYSE: CALX). 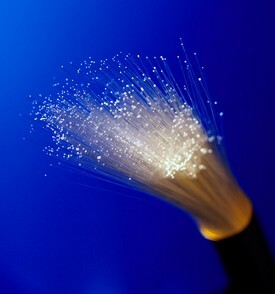 The deal means that Calix will provide the equipment connecting the fiber-optic infrastructure to the consumer. WestStar said it expects to receive the first shipment of equipment in early February. Jeremy Elmas of Weststar said the firm was selected because of its focus on FTTx equipment, its service record, and because it is a leader in the industry. Another key benefit to partnering with Calix is the flexibility of its fiber access systems to auto-detect both gigabit passive optical network (GPON)as well as point-to-point gigabit Ethernet technologies, allowing extensive broadband service deployment flexibility and the capability to provide up to 1 gigabit per second (1 Gbps) of broadband service capacity to any subscriber on the network, he added. “The Calix equipment allows WestStar room to grow its product and service offerings for years to come,” Elmas said. It is that level of future-proofing which has made Calix a leader in this type of technology with a wide variety of high profile customers, including 8 of the top 10 wireline service providers in the United State and over 1000 customer globally. Calix has also completed many projects in the Caribbean, including large announced projects in the Bahamas, Barbados, the Dominican Republic, and Trinidad and Tobago. “Calix is honored to be chosen as fiber access solutions provider to WestStar’s ambitious project,” said John Colvin, senior vice president, North America sales and marketing. “In moving to an all-fiber infrastructure, WestStar is dramatically upgrading its capabilities and bringing one of the world’s most advanced communications infrastructures to the Cayman Islands. We look forward to working closely with WestStar to bring this network to fruition, and in doing so enable a host of new advanced services for Caymanians,” he added. (BBC): The Queen's Christmas speech has been released as a free download for Amazon's Kindle e-book reader following its broadcast. The retailer secured access to the transcript after approaching the Royal Household with the proposal. The arrangement is an e-book exclusive although the text was also made available at Facebook, the BBC and the Royal Household's official website. Book industry watchers described the move as a "coup" for Amazon. 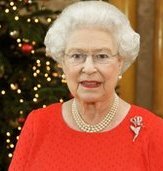 In addition to this year's speech Kindle owners are able to download the Queen's previous Christmas messages dating back to 1952, the year of her accession to the throne. (BBC): The intellectual property rights relate to a method to switch a vehicle from a human-controlled mode into the state where it takes charge of the wheel. It explains how the car would know when to take control, where it is located and which direction to drive in. The search firm suggests the technology could be used to offer tours of tourist locations or to send faulty models to repair shops. 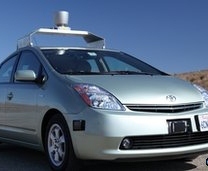 The application for Transitioning a Mixed-mode Vehicle to Autonomous Mode was applied for in May, but had been hidden from public view until this week. The document describes using two sets of sensors. The first identifies a "landing strip" when the vehicle stops. This then triggers the second set which receives data informing the machine where it is positioned and where it should go. "The landing strip allows a human driving the vehicle to know acceptable parking places for the vehicle," the patent filing says. "Additionally, the landing strip may indicate to the vehicle that it is parked in a region where it may transition into autonomous mode." 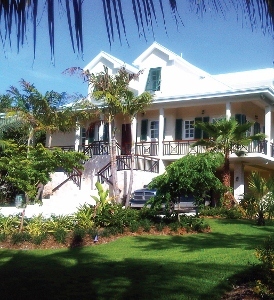 (CNS): SeaGrape House a residential project by John Doak Architecture is this year’s winner of the Governor’s Award for Design and Construction Excellence in the Cayman Islands. Selected from a short list of projects where renewable energy and sustainability dominated the finalists. SeaGrape House was described by Doak as a traditional Caribbean style home, which utilised renewable energy resources and set in the undisturbed surroundings of the seagrapes of the Frank Sound beach-ridge. The owner of the house Janet Morse said Doak had designed a plantation style home that featured renewable energy and a beautiful garden. “The entire team seamlessly incorporated cutting-edge renewable energy and geothermal technologies while maintaining a lush oasis outside,” she said. The governor also presented a judge’s commendation for excellence in sustainability and the environment award to Lighthouse Point for its commitment to renewable energy. All of the six projects that were shortlisted were showcased at the awards ceremony at the Governor’s House on Wednesday 30 November. The Award developed by the Cayman Society of Architects, Surveyors & Engineers (CASE) and the Cayman Contractors Association (CCA), in conjunction with the governor aims to encourage, foster and maintain innovation, sustainability and excellence in the Cayman Islands construction industry. The projects were judged on whether and to what extent the design and construction of the nominated project displayed the following attributes: Creativity and Innovation, Sustainability and the Environment, Value, Buildability and Cultural Response. (Reuters): Asaf Moses is in the midst of displaying a new way to measure body dimensions. A virtual instructor prompts him to turn 90 degrees to the left and adopt various poses such as "The Penguin," aimed at capturing over 20 different measurements using a device that many people have embedded in their laptops — a simple webcam. "It's capturing everything that's needed to tailor a shirt to your measurements", said Moses. And it's all online. Shoppers generally flock to malls during the holidays beginning on Black Friday, although in recent years many have headed to the Internet. A recent survey by analytics firm comScore predicted online shopping would increase 15 percent this current holiday season. Once measured, shoppers will be able to access their measurements at supporting retailers' websites so they can see, for example, if a size small-sized t-shirt will fit around their chest or be long enough to drape down their torso. (CNS): The local airport authority has issued a request for proposal for the construction of a four-storey concrete tower that will house the planned Doppler weather radar on part of the former Prison Farm in East End. 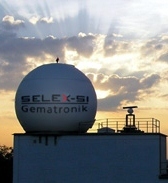 Two contracts have already been awarded to German companies to manufacture, supply and install the digital radar itself and for the technician. The Cayman Islands Airports Authority (CIAA) said SELEX Systems Integration will make and put up the radar while the Icon-Institute won the bid to provide a Technical Assistant on contract, for the duration of the project. Reporting to the Cayman Islands Airports Authority (CIAA), the Technical Assistant is responsible for ensuring that all financial and procedural activities of the project are in accordance with the requirements of the European Union (EU) – the scheme’s primary sponsor, the CIAA said in a release from government Tuesday. He said the facility will benefit the public and airlines by providing accurate weather information to forecasters and pilots and it will also serve the region by filling “a black hole in terms of regional radar coverage,” Jackson added. Minister for District Administration, Works, Land and Agriculture Juliana O’Connor-Connolly added that the radar station would serve the country’s long-term national interest and described it as “an invaluable opportunity for the Cayman Islands to become an integrated regional player in respect of hurricane preparedness,” she stated. The early warning system is expected to improve disaster risk management and reduction in the Caribbean region but it has faced some controversy. 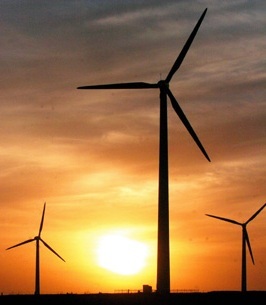 The decision to site the radar project at the East end location on the former site of the prison farm was also the site that had been earmarked by CUC as the potential home of Cayman’s first wind farm to address the country’s oil dependency problem and take a first step towards sustainable energy provision. The government opted to prioritise the radar over the wind farm which is being mostly funded through the European Union which government said had taken the Cabinet office years to secure. “With increasingly volatile weather we sorely need improved forecasting abilities – something this project will deliver,” O’Connor-Connolly who is also the minster with responsibility for energy, said. The CIAA and the EU signed a contract for the radar more than two and a half years ago in March 2009, when the EU agreed to provide Cayman with a grant for €4.16 million (about CI$4.6 million) to construct the early warning weather radar. The Cayman Islands Government is making its own contribution to the project by providing the site, the access road, and funding a technical consultancy service from the Caribbean Meteorological Organization. (Telegraph): Confronted with a weak wifi signal and no mobile reception, a top technologist knew exactly the right solution. Use an old baking tray as an amplifier. Peter Cochrane, formerly the Chief Technology Officer at BT, was on a boat on the Norfolk Broads but unable to get online. By improvising, he could boost a flagging, useless signal to something much more effective. Writing on his blog at Silicon.com, Cochrane explained that the baking tray proved just as effective as an expensive high-gain antenna which he didn’t have. The solution was not, however, to stop and visit a nearby community on land. Cochrane instead used an old baking tray to focus the reception.